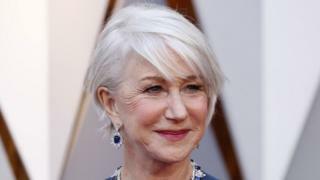 Dame Helen Mirren has said the rise of watching films on streaming services at home is “devastating” for people who want to make films for the big screen. “It’s devastating for people like my husband, film directors, because they want their movies to be watched in a cinema with a group of people,” the actress told Total Film magazine. Dame Helen, 72, is married to Taylor Hackford, director of 2004 biopic Ray. She said the “communal” experience of cinema is in danger of dying out. The Oscar winner’s comments continue a debate about services like Netflix, which has bought films like Annihilation and Mudbound for its own subscribers. Its business model generally bypasses cinemas – a fact that has unsettled many in the film industry. Netflix films have been banned from this year’s Cannes Film Festival, which has introduced a rule saying all films in competition must have a cinema release. Streaming services may be able to offer fans advantages in terms of price, selection and home comforts – but the attraction of the cinema doesn’t seem to be waning. Last year, UK cinemagoers spent a record £1.38bn on tickets, up 6.1% on the previous year. Cinemas v streaming – which is best? Join the conversation on our Facebook group. It’s a place to chat about everything we’re watching at the moment, as well as discuss the big issues in the entertainment world.